Two One Six Luxury Accommodation on Auckland’s West Coast is situated high above Muriwai Beach, offering a perfect getaway for two. 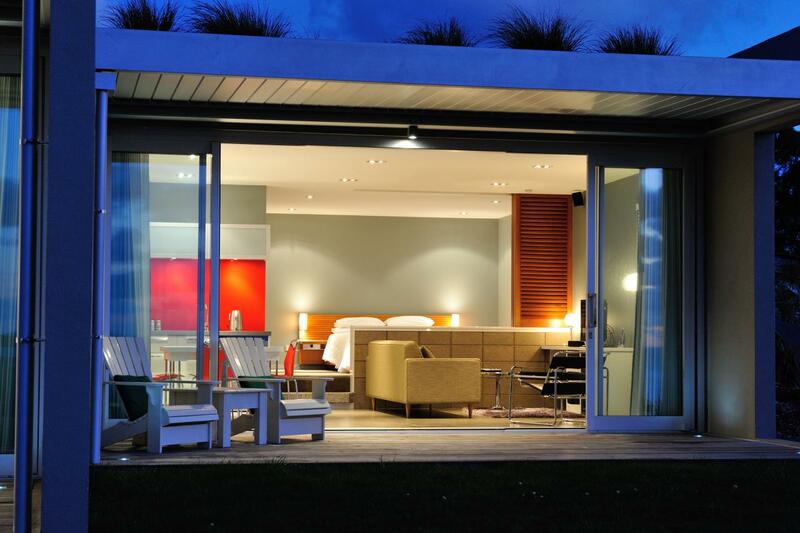 216 has two architecturally designed guest suites, completely private, with uninterrupted views up Muriwai Beach. Just 35 minutes from downtown Auckland off-peak, our contemporary accommodation has been designed with sustainable practices in mind, providing a high quality New Zealand accommodation experience. Muriwai Beach is one of New Zealand's most spectacular black sand beaches where you can surf, hike or mountain bike and from August to March each year, visit the Muriwai gannet colony. Located on Auckland's beautiful West Coast only 35 minutes drive from the central city. Big surf shed, located right by the beach offering surfing lessons, surfboard and wetsuit hire. Kiwi owned and operated. Fantastic location in a Regional Park.